Travel back in time and inject a hint of nostalgia into your next staycation! Life in the city is exciting but it also can be very draining. Getaways have become our go-to remedy for our hectic lifestyles. But not everyone can or wants to jet to the next five-star resort to let loose. 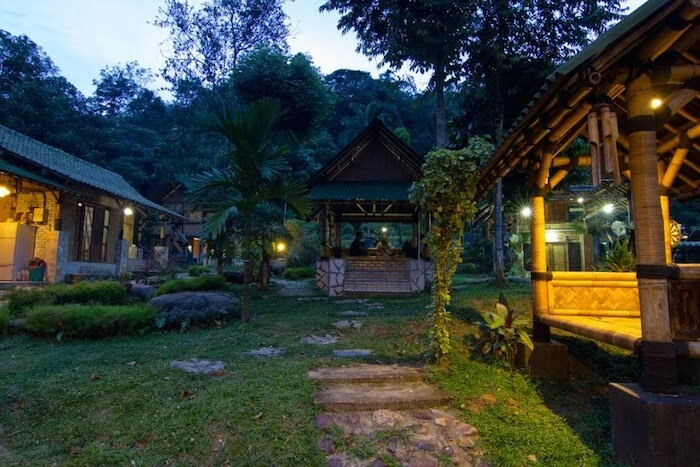 There are other ways to relax and reconnect with yourself - Malaysia’s Bamboo Village offers a kampung-style retreat like no other. ‘Kampung’ means village in Malay. 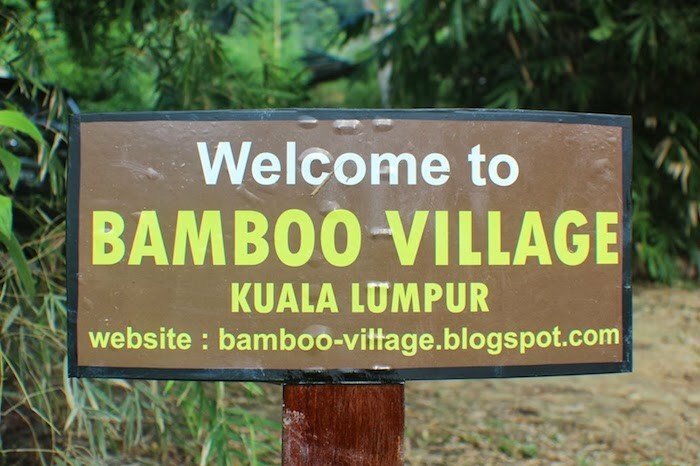 Nicely tucked just outside of Kuala Lumpur, the Bamboo Village’s serene surroundings make it an oasis in the concrete jungle. 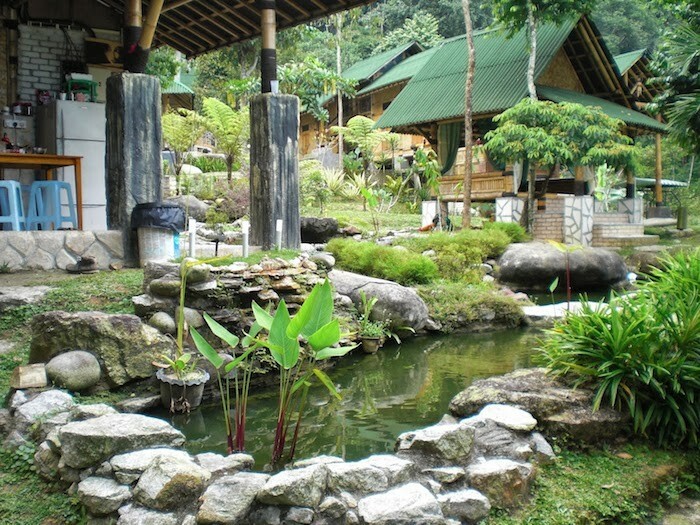 It has gardens filled with luscious greens, home-grown fruits and vegetables, as well as fish ponds. Officially opened in 2013, the owners had rebuilt the kampung in search of a new lifestyle. The entire village is reconstructed as authentically as possible. The houses are steadier and perhaps slightly prettier than those 50 years ago, but the essence and the kampung spirit still remains. 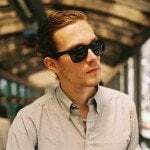 You won’t really find paved roads or any other modern tools there, but rather, you’ll see chicken and cats freely roaming around the premises. 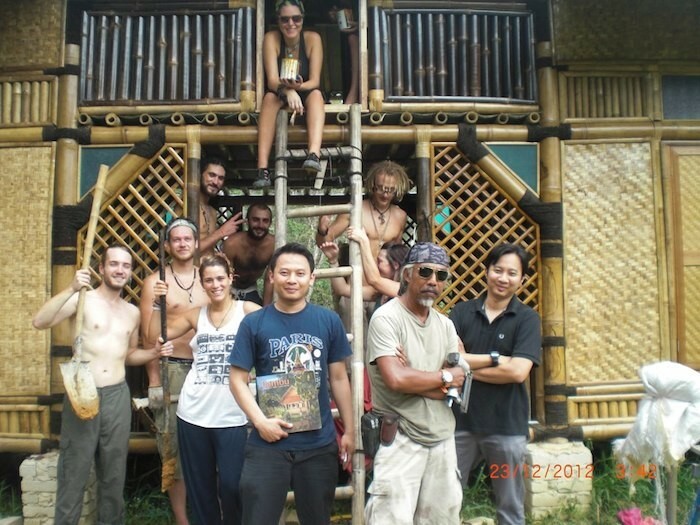 The Bamboo Village functions like any accommodation you can book and stay in. 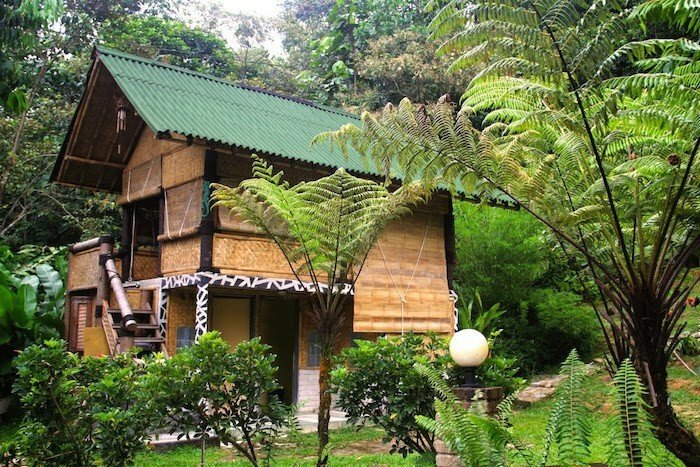 There are several beautifully designed huts of various sizes. The houses often include a wonderful terrace where you can relax and enjoy the fresh air. Unfortunately, or fortunately, there is no WIFI connection available. You are not entirely cut off, however, as there still is a computer that you use. Although, you should remember that you are there to take a respite from your busy life – so don’t worry about checking your emails and updating your Instagram. There will be more than enough opportunity for that once you are back home. As there really isn’t much that will distract you, you have all the possibilities to seriously reconnect with Mother Nature. While relaxing and reading a good book will keep you entertained, the stunning surroundings is the true highlight of this resort getaway. You can also bring your own food to cook at the kitchen there, a new kind of al fresco dining! The best thing? One night’s stay costs only about RM 195 (SGD 65). Furthermore, the houses are ideal for a group of friends and families. The village also offers opportunities to volunteer. The small group of people running the show needs plenty of help with the gardening work, housekeeping, as well as maintenance. You can sign up to stay in the village for a minimum of seven days. In exchange for work, you will receive free accommodation and food. No one here really expects you to work the entire day, but rather 2-3 hours daily. The rest of the time volunteers are free to enjoy the village experience. An added bonus! 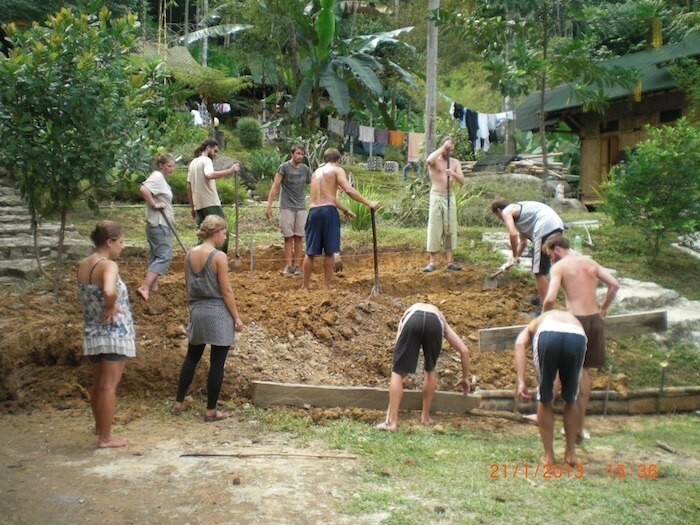 Not only will you learn more about the kampung way of life, you will also encounter volunteers from all over the world. If you prefer slightly more fancy alternatives, you can consider these other options. 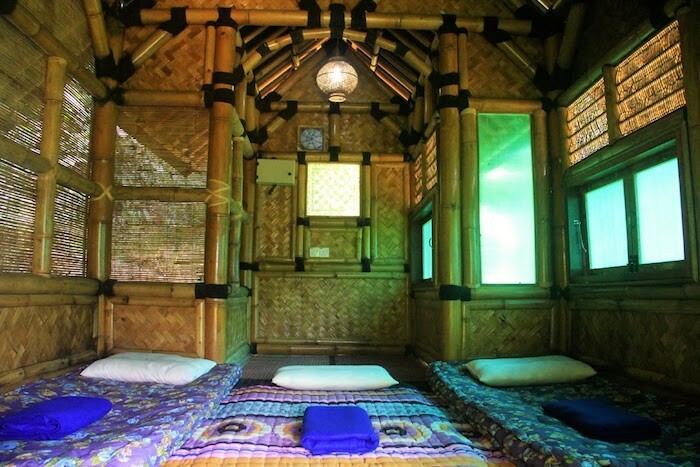 The Roots Eco-Resort is also made with bamboo. 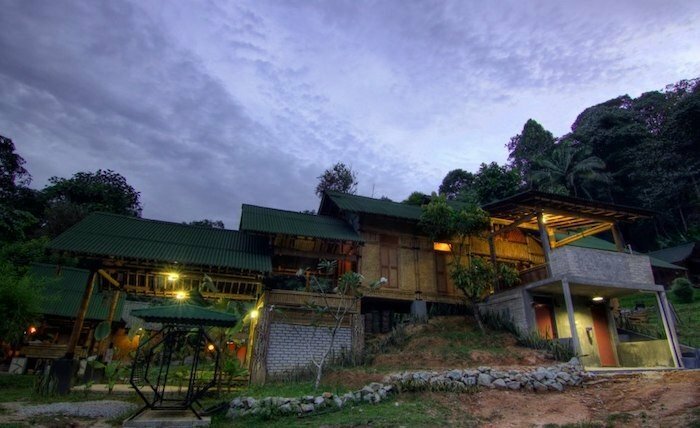 Located in the Kinta Valley, the eco resort is inspired by the local tribesmen and is (as the name suggests) entirely eco-friendly, having used only wood and bamboo in construction. The simple but beautiful cabins are not reminiscent of a luxury resort, but still offer plenty of relaxation and tranquillity. All houses are equipped with hot showers, a bathtub on an open terrace and air conditioning (if you really can’t live without it). Prices start from RM 198 (SGD 67) up to around RM 400 (SGD 135). If you want it simpler than that, you should try the Menanggul B&B, which is directly located at the Kinabatangan river of Sabah. The simple life starts at RM 70 (SGD 24).